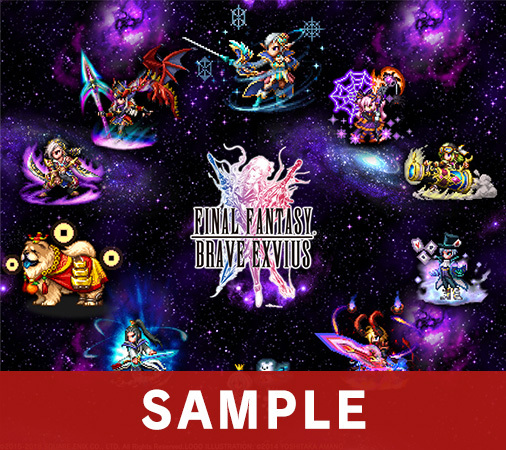 To celebrate the second anniversary of FINAL FANTASY BRAVE EXVIUS, we’re posting the results from our earlier poll. Thanks for all your submissions! Check out the FFBE 2nd anniversary special page! We asked what your favorite FFBE global edition unit was in our recent poll. The top ten picks from the poll have been turned into a wallpaper! Most Popular Global Edition Unit Poll Results! FFBE has had a lot of units specific to the global edition. But which of these units is your favorite? Here are the top ten results from the popularity poll along with a few comments! When I first came into the game, Freyvia was at the top of the world. Even now, she has a solid place in the game, and her beautiful sprites are still fun to watch. A wonderful addition to the game. Freyvia has helped me on a few hard challenges, being able to support the team by getting buffed by any offensive support spells leaves option open to mix and match a team, be it mages or melee. I hope to receive another in order see her grow when 7* is released. Love the artwork for her, fun backstory, and she's crazy powerful. A Dragoon with a Dragon to fight with! That is awesome! Best Dragoon in the game, even though I haven’t been able to obtain her. Maybe at some point I will. I had insane luck with her and she instantly became one of my favorite magic chainers. She was viable for a lot longer then I had expected and she is one of my favorite units in the game period! I just love her she is my best unit!!! Firstly because she’s one of the most powerful mages in the game; secondly she is a beast in Arena; thirdly she was an enormous help against Bloody Moon; lastly but not least, she is incredibly adorable, sugoku kawaii!!! He's very efficient for gathering materials and gil. He also has a cool LB...Xon steals time! I love the mug/steal ability and he’s one of my strongest characters!! Olive's kit is just so beautifully done, Sparky is fantastically large and with her enhancements she has remained a fantastic physical finisher since I first got her. She has the most powerful moves in the game. When I began the game I would always try to find her to add as a friend unit. She helped me overcome the hardest battles! I have tried to pull her but have been unsuccessful. She would make any team complete! She is the queen of FFBE global edition! 3rd turn cannon attack and cool outfit. Olive needs a CG limit burst! One of the best skill sets in the whole game. Making Wilhelm AoE cover tank is near game breaking (in a good way). He reminds me of my best friend. He's a person who would always have my back. The concept of Lasswell learning to wield fire and ice. Passion and self control the blending of what are considered opposites and are not. Well because it's cute and I love demon lore and Rain looks awesome as a demon, but mainly because (though I don't have him) I love how this version turns my favorite hero dark. Dark side of Rain is finally here! He is quite strong and is perfect for Halloween events! 100% counter is the best and I like it. Want it soooo bad. She's so kawaii!! And her story is sad but amazing, I would like to see more of her. FINAL FANTASY BRAVE EXVIUS is available now as a free-to-play app (with in-app purchases) through the App Store, Google Play and on the Amazon App Store. This title is developed as a collaboration between SQUARE ENIX and gumi Inc. (developer of the hit title >Brave Frontier). The game is available in six languages: English, German, French, Spanish, Chinese (traditional) and Korean.